Beautiful Sommer Floral Rug Collection by Flair Rugs. 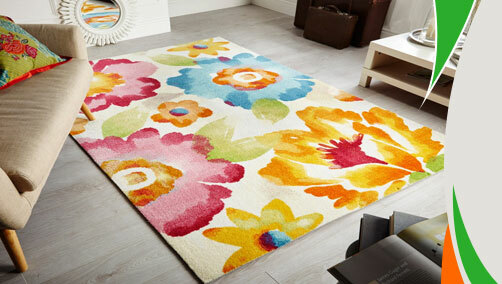 Featuring fresh floral designs with water colour effect, these rugs are sure to create a blossom like feeling around you. Made with high quality polyester yarn, these rugs are skilfully finished through the application of specialist printing technology. Choose from variant colours and sizes available. These rugs are available in small, medium, large and runner sizes with following size variations:120x170cm, 160x230cm.